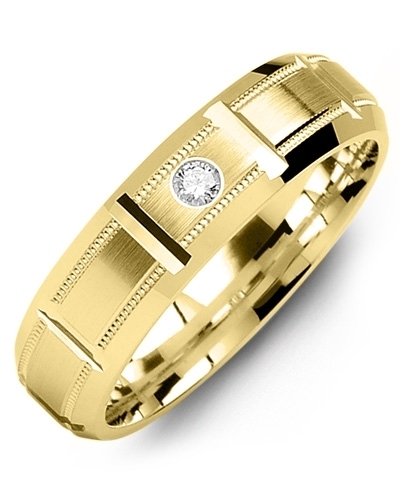 MYB - Dome Accents Pattern Gold Diamond Wedding Band Make a style statement on your wedding day with this Dome Accents Pattern Gold Diamond Wedding Band. 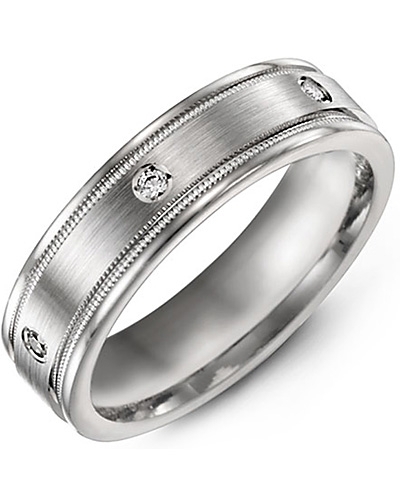 Bold and beautiful, it features a classic dome shaped band, carved vertical and horizontal accents, and 8 dazzling gypsy-set diamonds with a total carat weight of 0.40ct. 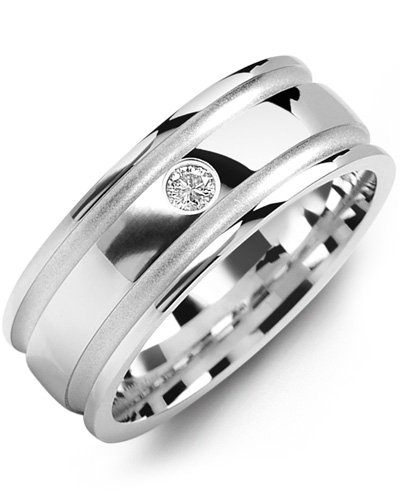 The design is complemented with a brush finish for added radiance. 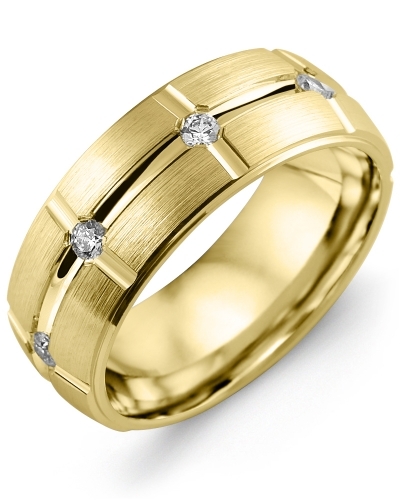 Select your preferred gold colour, karat and width, before personalising with our engraving service. 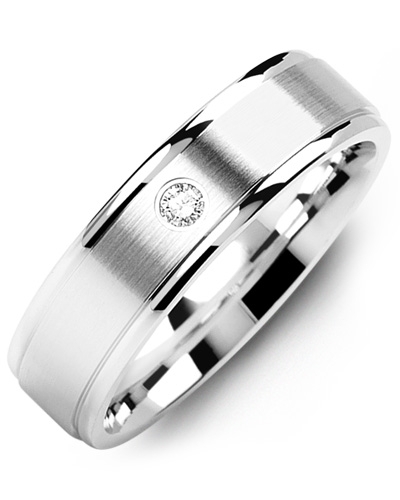 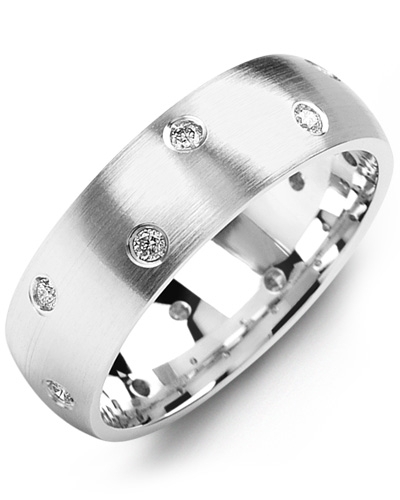 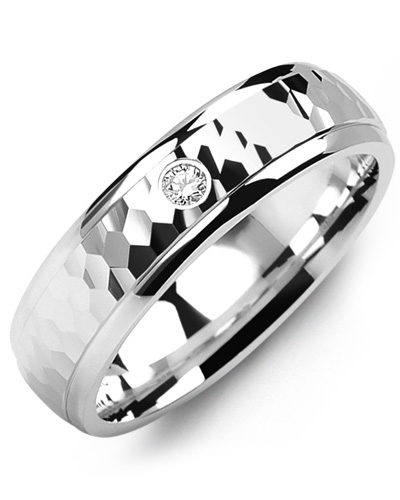 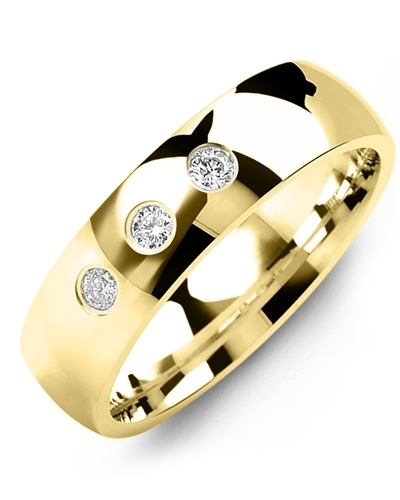 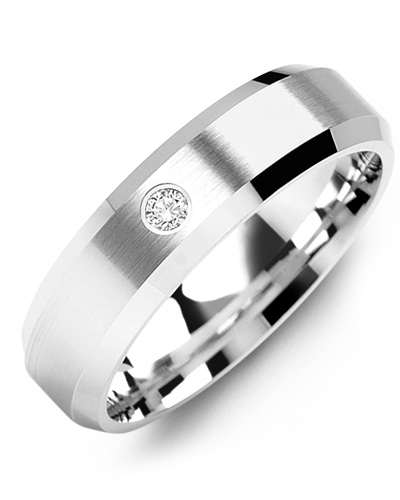 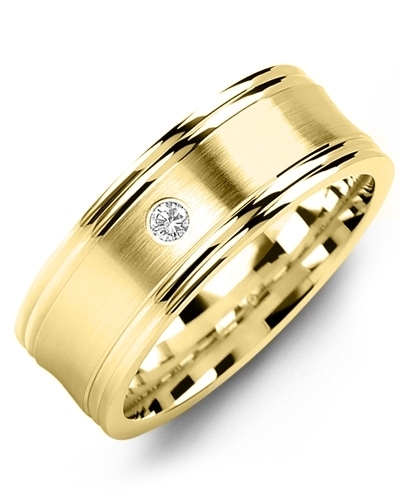 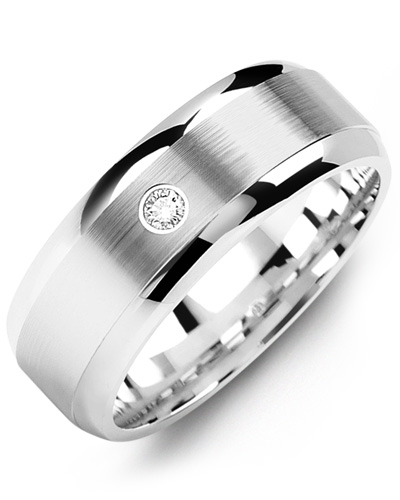 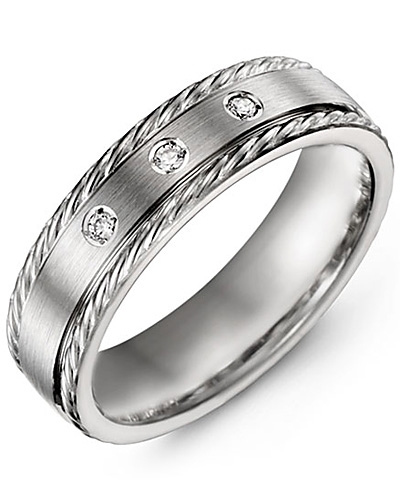 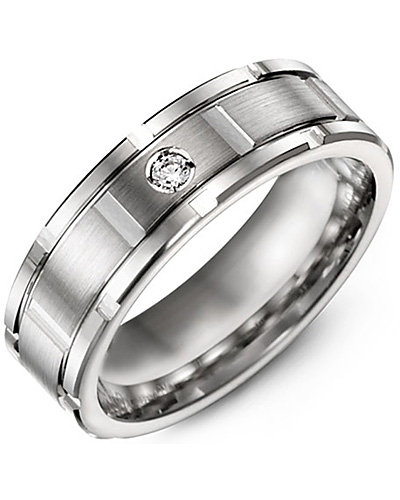 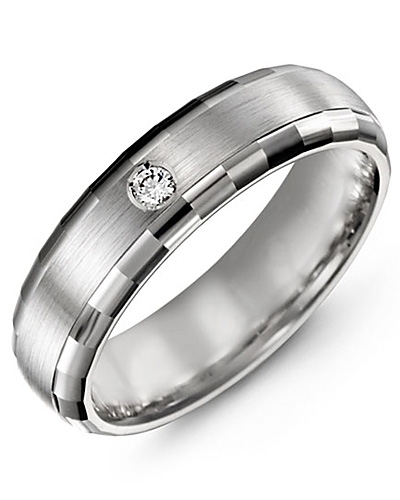 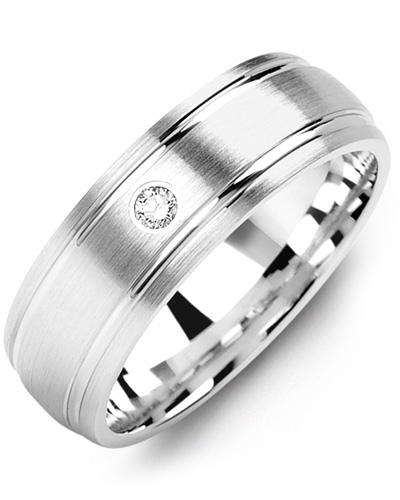 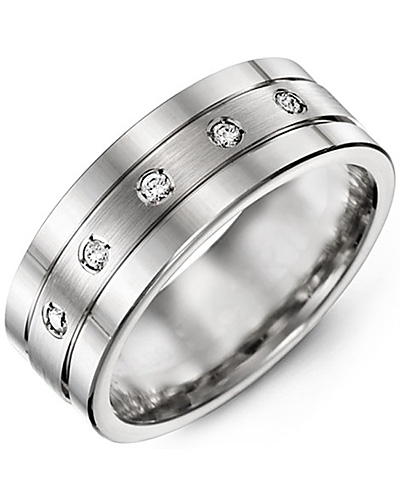 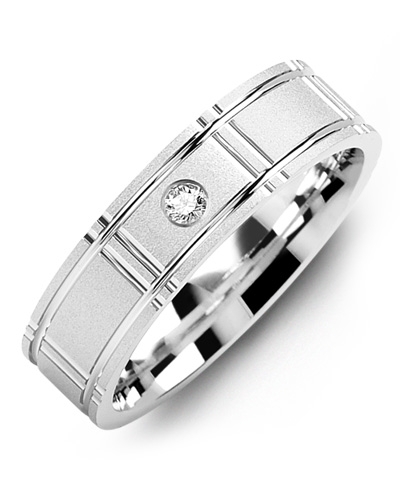 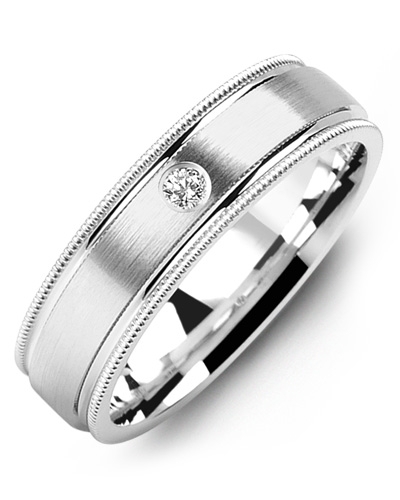 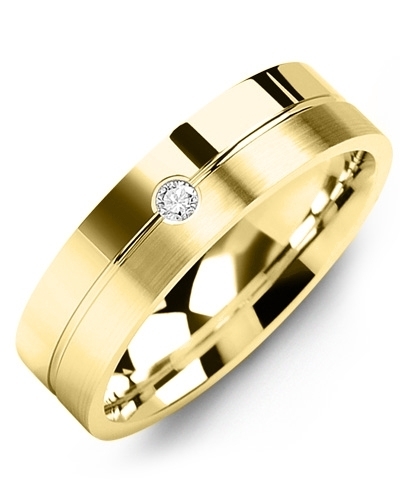 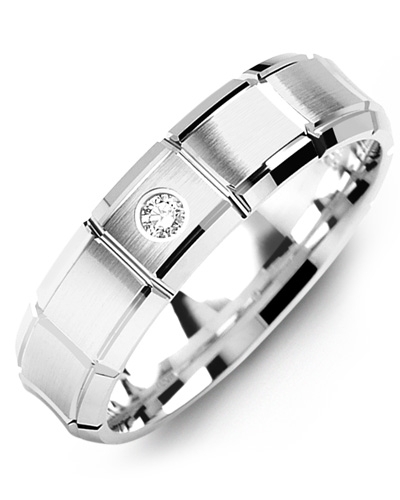 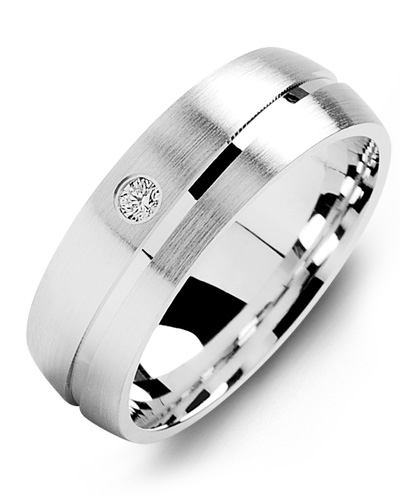 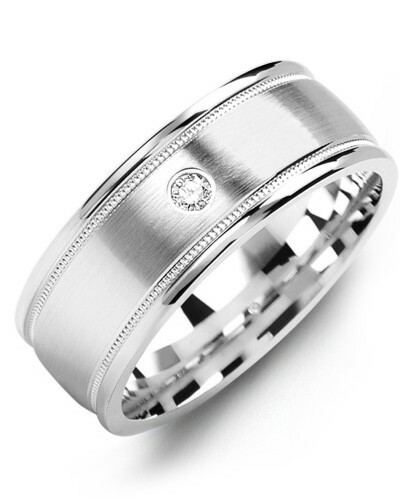 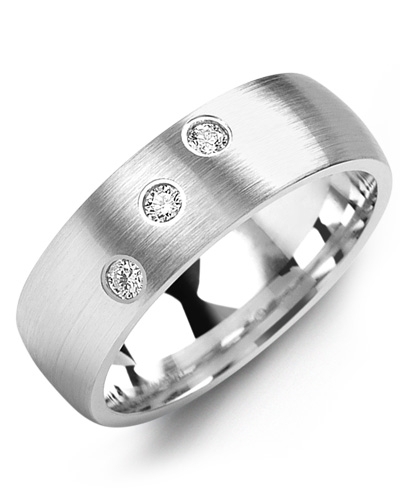 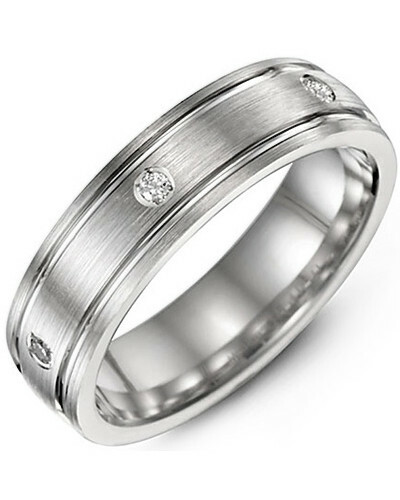 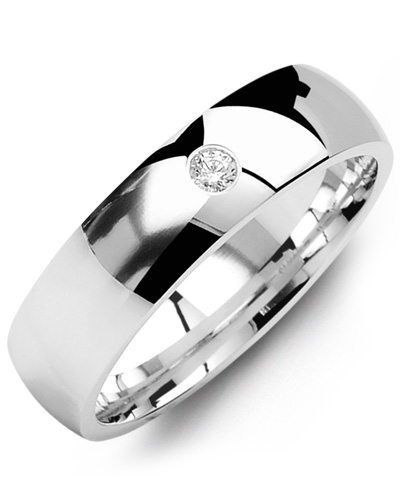 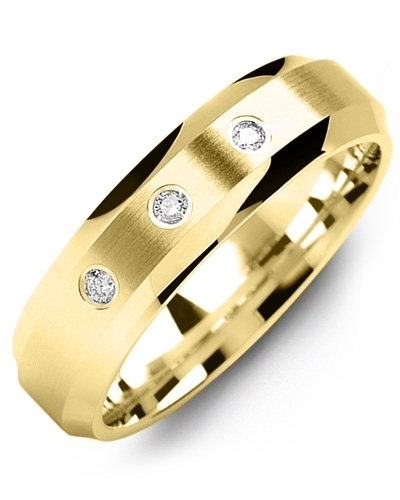 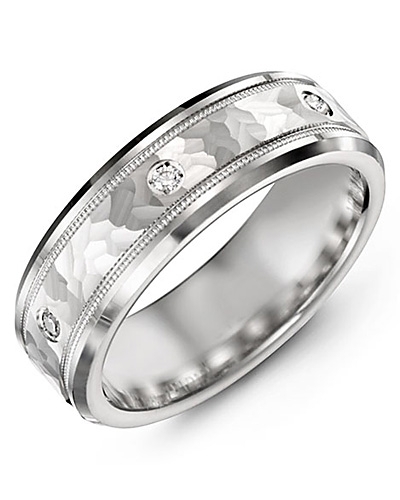 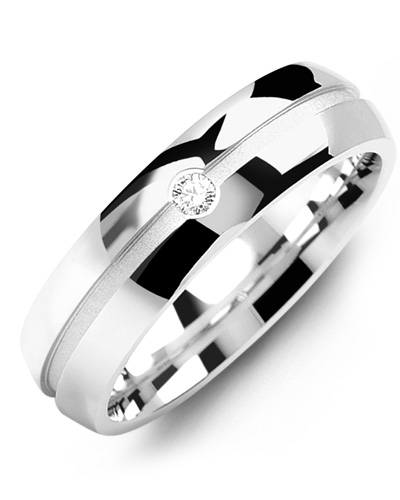 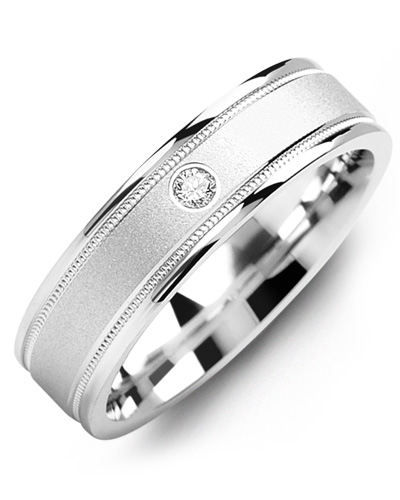 Make a style statement on your wedding day with this Dome Accents Pattern Gold Diamond Wedding Band. 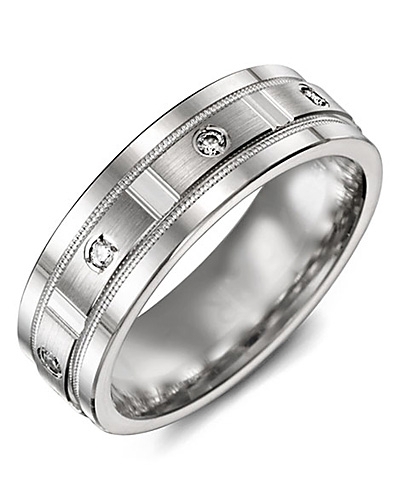 Bold and beautiful, it features a classic dome shaped band, carved vertical and horizontal accents, and 8 dazzling gypsy-set diamonds with a total carat weight of 0.40ct. 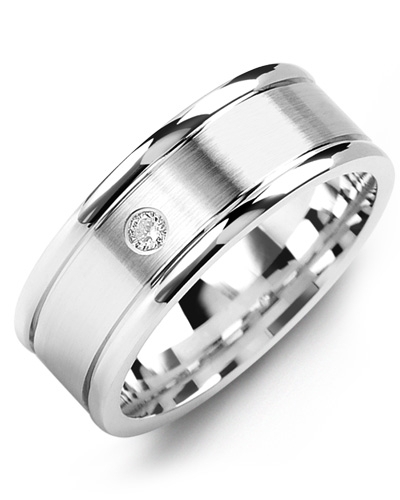 The design is complemented with a brush finish for added radiance. 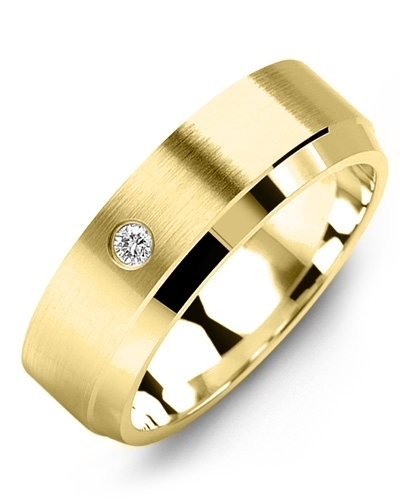 Select your preferred gold colour, karat and width, before personalising with our engraving service.